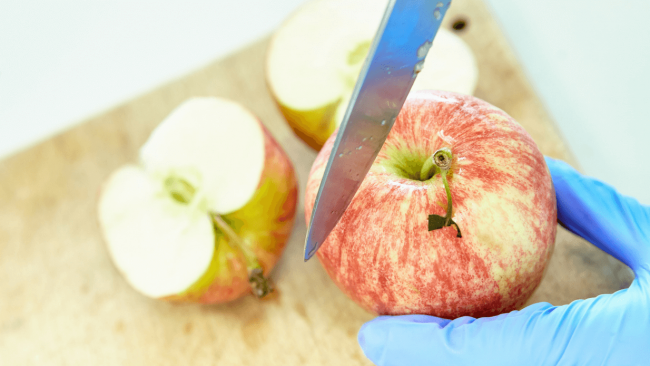 We have a dedicated food testing division who can conduct pesticide tests where we can test for over 600 different pesticide residues in a wide range of fruit, vegetables, soils and food products. Hill Laboratories has many years of experience testing pesticides in a broad range of primary produce and environmental samples. We work closely with industry groups to ensure that our tests are up-to-date with your needs and that compounds deemed important to your produce are included within our test suites. In addition, our laboratories are fitted with state-of-the-art instruments to provide results to our clients in as short a time as possible, while ensuring data is of the highest quality. Hill Laboratories has extensive experience in the analysis of pesticide residues. We have developed award winning purification systems that ensure the best possible extraction of contaminants across the most diverse array of sample types available in New Zealand. Our test offering is IANZ accredited and suitable for use in both domestic and export-based situations. For a more complete listing of our pesticide testing options and the associated test details, simply call us or complete the form below and we will be happy to help you decide what test is best for your particular needs. Pesticides are a valuable tool used in most agricultural systems, however their accumulation and distribution into soils can have detrimental effects. To help understand pesticide contamination, Hill Laboratories has developed an extensive array of IANZ accredited test options. For a more complete listing of our pesticide testing options and the associated test details, simply call us or complete the form below and we will be happy to help you decide what test is best for your particular needs.